Alpes Vente is a small but dynamic business that has been operating in La Vallée d'Aulps, a select area of the French Alps, for five years now. The business was born from the longer standing Alpes Locations. Alpes Vente's director Stéphanie Delerce has lived in the area for sixteen years and her husband is a local boy, born and bred in St Jean d'Aulps. So, Stéphanie knows the area, its people, its traditions and its properties better than most. Stéphanie's family connections are vital to the success of her business. Having roots in the valley means that the locals trust Stéphanie and her team. This provides a flow of news and information that keeps Alpes Vente ahead of the game. If someone is thinking of selling a property, or a plot of land, Stéphanie will know about it. If there is a property for sale that is likely to have planning consent problems, she's able to find out quickly if these will be resolvable or not. So she doesn't involve clients with potential problems. Her father in law is a local carpenter too - a knowledge of wooden properties in the Alps is invaluable! Word of mouth is important in this small area of the Alps, and this, coupled with Alpes Vente's detailed local knowledge has led to rapid growth in the portfolio of properties for sale and for rent. Stéphanie's partners also have a deep knowledge of the Vallée d'Aulps. One is French, originating in the area, while the other is English, but has lived in the valley for over twenty years. So Alpes Vente has both English and French native speakers, making communication easier for clients. Alpes Vente has chosen to stay local, basing all its business around the villages of La Vallée d'Aulps, in the stunning Haute-Savoie region. There's a good reason for concentrating on such a small and select area. It means that Stéphanie and her team have the intimate local knowledge that can only spring from living and working in the valley. And, it means that Alpes Vente can personally view all properties in their portfolio, greet all clients and work closely with them to ensure a first rate service. The business has two offices. The original is up in the ski station of St Jean d'Aulps, and the second lies down below in the old village. In addition to St Jean d'Aulps, the villages covered include La Baume, La Forclaz, Seytroux, Le Biot, Essert La Pierre, Essert Romand, Montriond and Morzine. 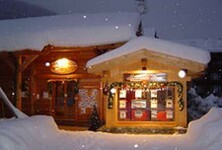 Alpes Vente also has properties in Vailly, Lullin and Bellevaux. Stéphanie and her family have recently become involved in an exciting new development of properties in the resort of St Jean d'Aulps. Four chalets are due for completion in 2013, and a further five scheduled for 2014. All are being constructed in traditional, locally sourced materials to authentic Savoyard designs. But all will be equipped with modern insulation and offer maintenance free luxury living. Once more, Stéphanie's connections are being brought into play, using local artisans to do the building, plumbing, electrical installations and furnishings. Stéphanie expects demand for the chalets to be high, as the resort, already popular, is currently expanding to offer new slopes, snow cannons and more lifts. With all this about to happen, getting in early is important. Stéphanie will be happy to give you all the information about the new development, so give her a call and beat the crowds. Alpes Vente offers a friendly service, as you'd expect of a small, family orientated business. From first contact to completion, the team will help you find your property, guide you through the legal process and help you establish your own network of trusted professionals. Stéphanie will even introduce you to the Maire of your chosen village, an essential contact in France! And after you move in, if you wish, Alpes Vente can offer support and contacts too. You're always welcome to drop in or meet the team for coffee or drinks and let them know how you're getting along. Stéphanie believes that Alpes Vente offers something special to clients. She and her team have an abiding love of the valley, and a commitment to its future. Alpes Vente is more than just an immobilier, it's part of a community. The partners and employees call the area home, and raise their children there. It makes a difference. And with many clients returning to the agency for repeat business, the success of Alpes Vente's approach is set to continue. Although word of mouth brings along a good number of clients, Stéphanie decided to advertise with French Property Links when an English friend told her how she found her property through FPL. Realising that the user friendly site is a great performer in internet searches, and gives her business that vital edge over the rest, Stéphanie placed her adverts and has never looked back.